My husband takes a water bottle to work with him every day so that he can refill it through out the day while he works. Since he works in a department that has to be kept to strict specifications he has to have a bottle that he knows won't spill or leak if it tips over. When I received the AUTOSEAL® Cortland Water Bottle by Contigo I sent it to work with him because I knew it was a bottle we could trust. It features both spill-proof technology and a lid lock so that the AUTOSEAL® button can't accidentally get pushed allowing the contents to come out. That's double the protection, which is just what we need. The other great part is that it features a nice clip on the handle that he can use to attach the bottle to his lunch bag to keep his hands free when walking in and out of work. This is a great bottle for anyone that wants the peace of mind knowing their beverage isn't going to leak out or spill, and they can carry it with ease. 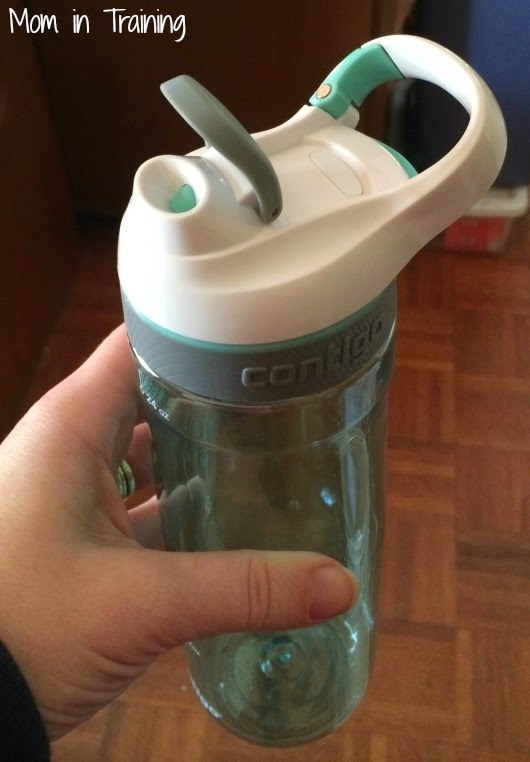 Buy it: You can purchase the Cortland bottle and many others from Contigo on their website.